Is the gig economy a good thing? For the past two and a half years I’ve been thinking about the following question: What helps young people graduating from postsecondary institutions best transition to the world of work? That question has been at the heart of the digital offerings I’ve created, the writing I’ve done and the programs and workshops I’ve designed. And as part of that work, I’ve read a lot, and spoken to hundreds of students and many faculty members to witness and support their experiences, their pain points and their questions. In addition to hearing those stories however, over the past few years, I’ve become increasingly interested in the larger systems that influence our experiences of work. 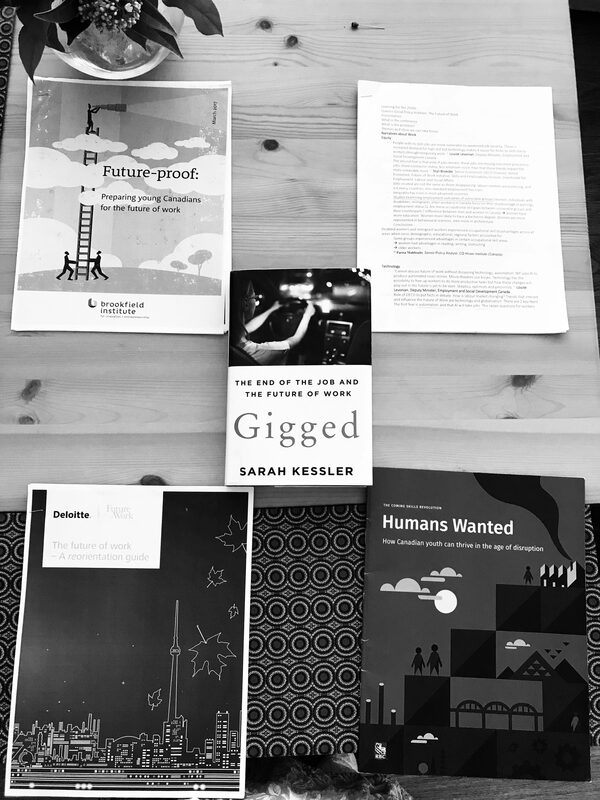 In August 2018, I went to Kingston Ontario to attend the Queens International Social Policy Institute titled “The Future of Work: Where do we go from here?” Going to Kingston was an opportunity to deepen my knowledge about emerging trends in the world of work and to meet academics, government officials and policy analysts from around the country and internationally working in this space. It was an incredible experience, and you can learn more about the panelists and their sessions here.